Offering you a complete choice of products which include fibc bags and two loop bags. Tunnel Lift FIBC Bags, are becoming more and more popular not only in the building trade, but also in many other industries.These bags are produced with two additional side tunnels, which are designed to aid the filling, stacking and handling process, by allowing the fork-lift tines to pass through the entire width of the bag.For some filling and discharging systems, the forklift truck driver can lift up the FIBC and place it into the filling or discharging system without having to get out of the truck.Once these bag are filled its generally handled by the tunnels. These bags often allow the need to ship filled bags on pallets, hence saving the cost of pallet and reducing the impact on the environment.These bags are particularly suitable for high volume multi-lift environment due to its cost effectiveness and ease of handling. 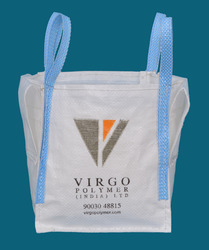 These Single Loop Bags are an alternative to the conventional 4 Loop FIBC and is comparatively cost efficient. 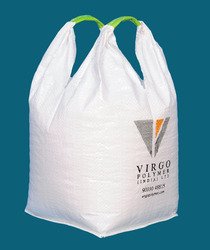 These Big Bags are used for handling a wide range of powdered and granulated bulk material. The users of these FIBC have to their advantage of handling upto 6 Sacks by a forklift / crane. as compared to normally one 4 Loop FIBC.These bags can be stacked to several levels depending upon handling equipment, storage and transport conditions.The uniqueness of this FIBC is its design, wherein the body of the fabric itself acts as a lifting loop. A special cut is given to the body fabric and then the top is crumbled and stitched to make a loop. Generally these loop are then tightened together with different color bands for easy identification.These One Loop FIBC are popular in various agricultural packing needs. Looking for FIBC Bags ?